For the initial download, please note: • A WiFi connection is highly recommended for faster download. • Due to the size of the game, please ensure you have approximately 1.6GB of storage space (some devices might require more) and expect longer than usual downloading time. 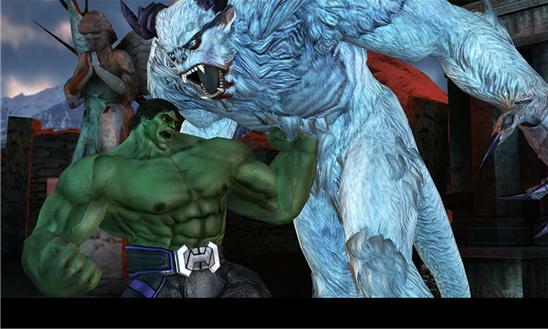 Level up, gear up, and fight as HULK or CAPTAIN AMERICA in this epic adventure optimized for touch screen devices. Track down and defeat some of the world's most notorious villains like Wendigo, Abomination, The Kronan, and The Skrulls, and help THE AVENGERS pull the world back from the brink of catastrophe! In the wake of The Pulse, The Vault, a top-secret S.H.I.E.L.D. facility in the Rocky Mountains, has busted open, releasing all of the super-powered criminals and monsters imprisoned there. Aboard the S.H.I.E.L.D. Helicarrier, Nick Fury recruits a reluctant HULK to round up all the monsters he can while S.H.I.E.L.D. can assemble the rest of THE AVENGERS to figure out who opened the doors to The Vault -- and why. As HULK rounds up escapees from The Vault breakout, Nick Fury briefs CAPTAIN AMERICA on a top secret mission: S.H.I.E.L.D. security has been compromised by an unknown traitor and Cap must ferret out the mole to find out who or what is behind this dangerous new threat. Cap takes the fight to an ambushing HYDRA Helicarrier and faces a merciless rival. Visceral Combat Experience raw, SUPER-POWERED COMBAT with blazingly responsive swipe, attack, and combo controls in a complete gesture based action game. Stunning HD Visuals Battle huge BOSS-SIZED enemies, experience amazing special effects, and visit incredible and icon Marvel locations. 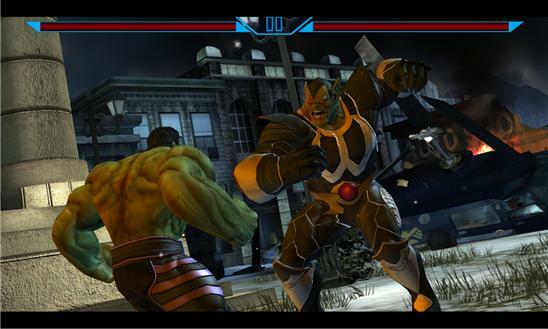 Unique Customization FULLY CUSTOMIZE Hulk and Captain America to play the way you want to play. Acquire exclusive costumes, unlock incredible super-powered abilities, discover explosive augmentations, and upgrade the combat stats of Hulk and Captain America.